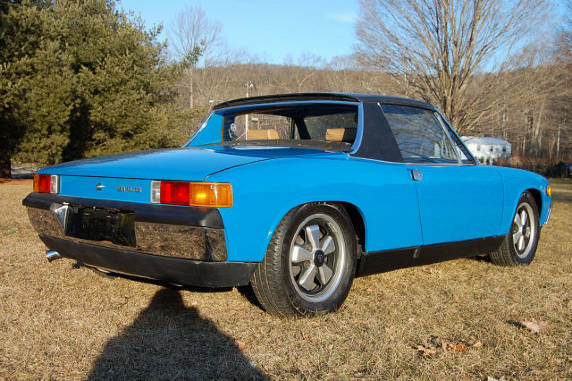 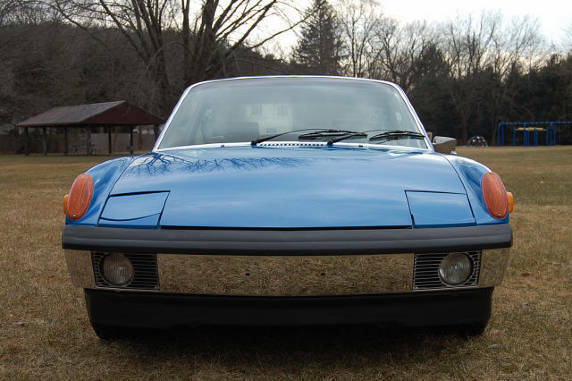 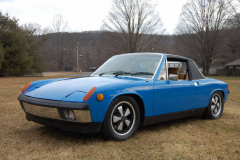 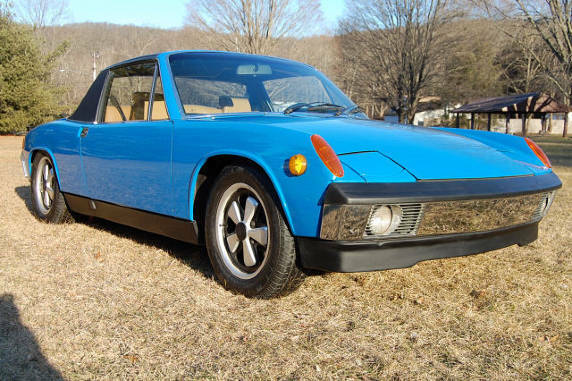 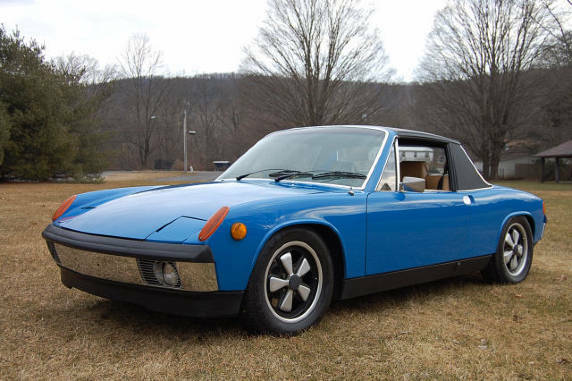 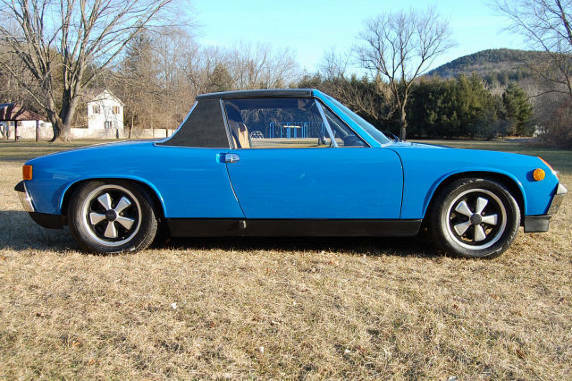 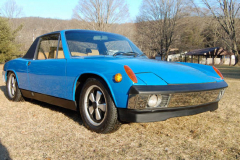 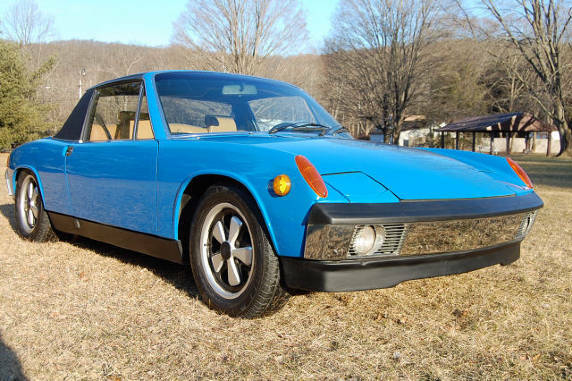 1970 Porsche 914/6 Adriatic blue/16 with a Beige Leatherette/31 interior. 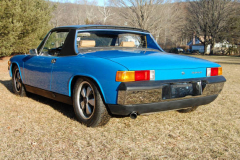 Correct matching numbers car as per COA which we have in hand. Chassis serial number 9140430913 and engine number 640437. 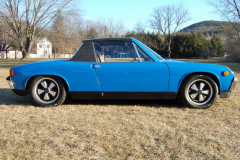 Fresh high quality bare metal windows out repaint (see photo section ) in correct factory color on rust free low mile chassis. 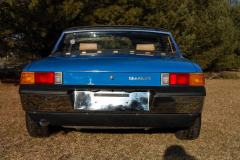 Interior has been redone to a very high standard in the correct material and original tan(see photos below). 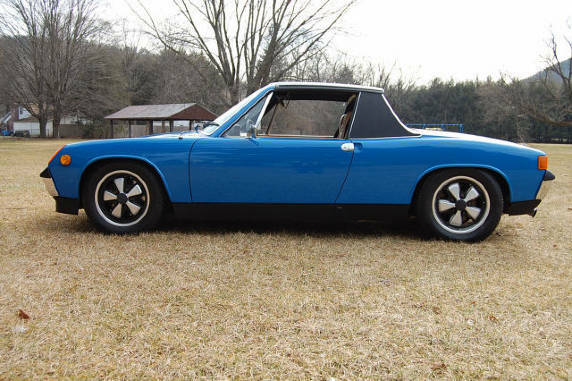 Owners manual with pouch, tool kit and jack. Service history from early 1980’s to present time with one motor and transmission rebuild in the late 1990’s. Car is presently fitted with Fuchs wheels but comes with the original style wheels and hub caps, it also comes with the original air cleaner (pictured). The 914/6 is a rare low production number Porsche that offers extremely high performance and handling, yet is easy to drive and enjoy.